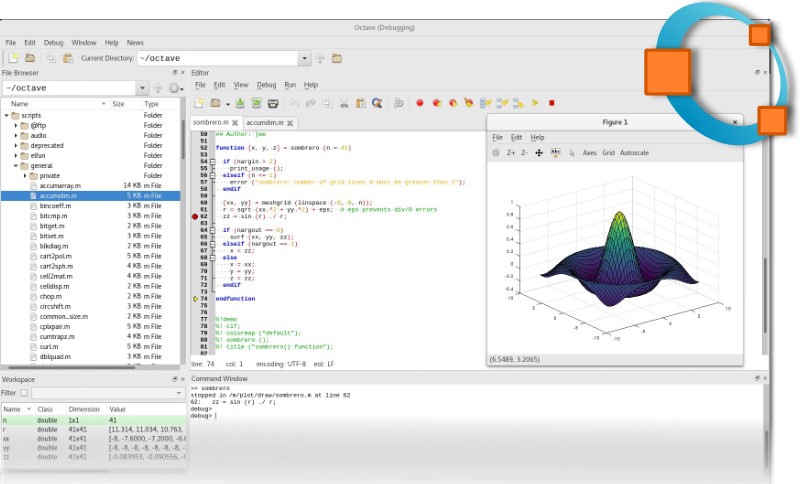 GNU Octave is an open source computer program for performing numerical computations using a language that is mostly compatible with MATLAB. It provides a convenient command line interface for solving linear and nonlinear problems numerically, and for performing other numerical experiments. GNU Octave also provides extensive graphics capabilities for data visualization and manipulation. Though it is normally used through its interactive interface (CLI and GUI), it can also be used to write non-interactive programs. Platforms that GNU Octave supports include Linux, Mac OS X, BSD, and Windows. Learn more and download GNU Octave here!